hd00:55Coastline in Suomenlinna World Heritage site near Helsinki, Finland. Warm summer day. 4k00:13Fairy bridges, impressive stone arches near Tullan Strand - County Donegal, Ireland. 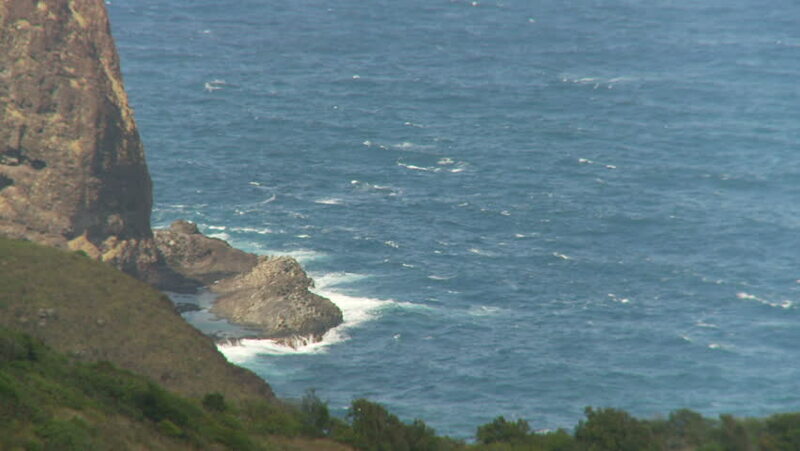 hd00:16Rocky shoreline on Maui in Hawaii. A man swimming and spear fishing in the rough water. Cliff and trees overlooking water. Island of Lanai on horizon.